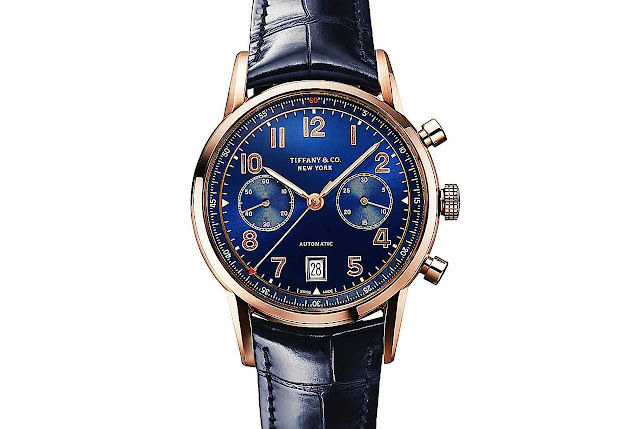 Introduced last year, the Tiffany CT60 Chronograph is now available in a new rose gold version with a blue soleil dial. 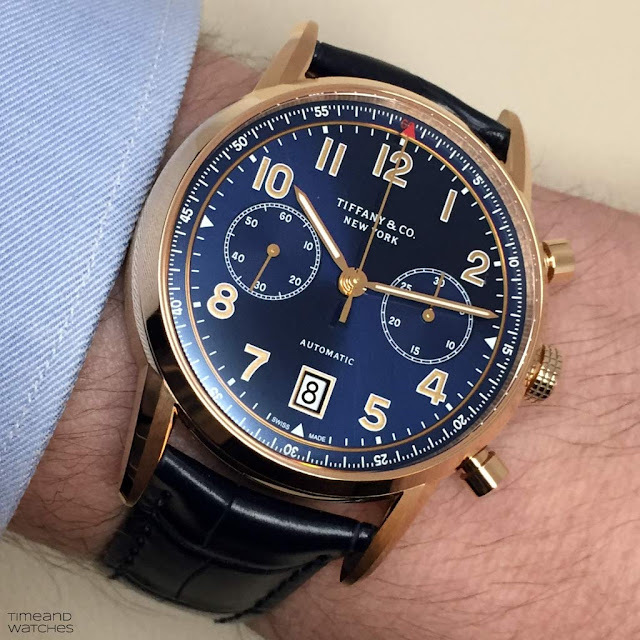 This eye-catching dial features a 30-minute chronograph counter at 3 o'clock, a small seconds sub-dial at 9 o'clock and the date aperture at 6 clock. 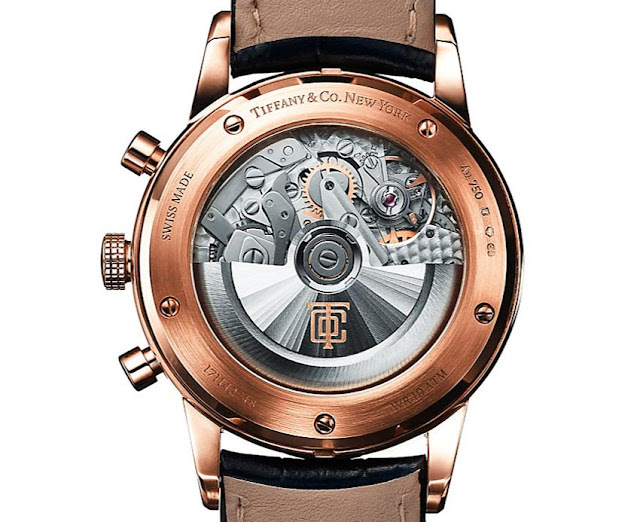 The dial is enhanced by gold poudré numerals, a decorating technique where real gold is crushed into a fine powder, made into a mixture and painted onto the dial. Offering water resistance to 100 meters / 330 feet / 10 ATM, the classic 42 mm case houses a high-quality La Joux-Perret self-winding mechanical movement which beats at 28,800 vibrations per hours and offers 42 hours of power reserve. The movement is also equipped with an advanced shock absorption system which makes it particularly robust. 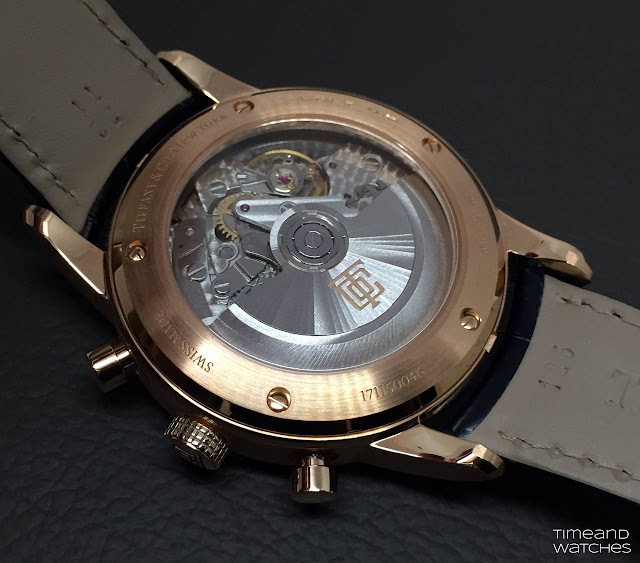 The movement is visible through the sapphire crystal display back and finished with techniques like radial Côtes de Genève, Colimaçon and Perlage. Like the rose gold and blue dial combination. It looks good on the wrist in the picture. What is the size of that wrist? Tiffany CT60 Chronograph rose gold / blue soleil dial (ref. 36342064). 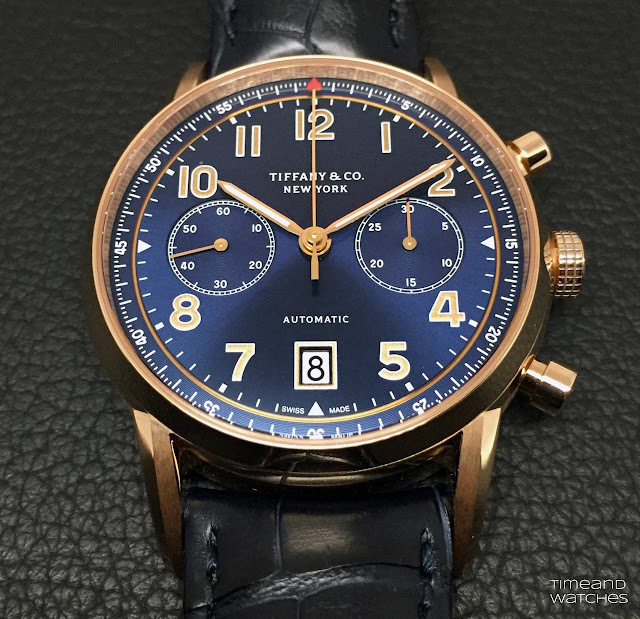 Introduced last year, the Tiffany CT60 Chronograph is now available in a new rose gold version with a blue soleil dial. 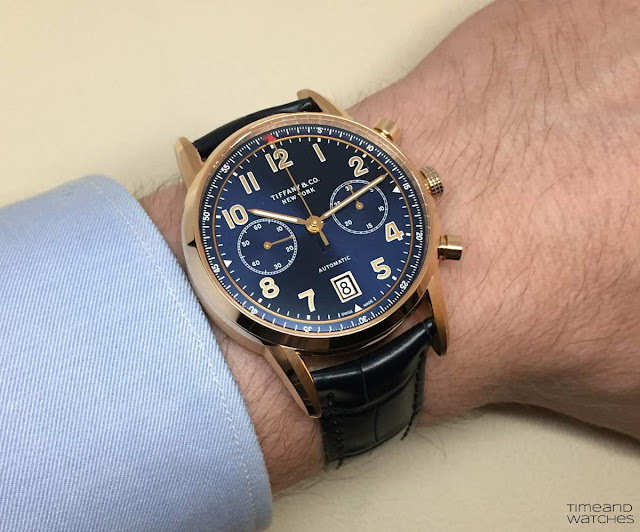 The Tiffany CT60 Chronograph in rose gold with blue soleil dial (ref. 36342064) has a price of Euro 16,000 / US$ 15,000.